Before 2015 has even finished festival fans everywhere are all a-buzz with new line ups for 2016 being teased already. Download 2016 is the one which has appeared on many timelines for a few days now and I’ve gotta say Download – bravo, bravo. Although any metal fan would have undoubtedly seen most, if not all, of these bands so far before, who wouldn’t want to see them ALL again? Well, apart from Nightwish, but you can’t win them all eh. Deftones are a band I regularly get butterflies about seeing. They were my very first gig back in 2002 and just like your first…. Festival, you never forget the experience. I remember being particularly flummoxed that the people I was going with were all getting drunk. I just didn’t get it at the time. Why would you want to get drunk and risk no remembering seeing Chino and the lads in all their nu-metal glory?! Even now I don’t risk getting too drunk at gigs, just in case I miss something on my 12th toilet run due to my pea sized bladder. On the Download 2016 line up so far, there’s only one band which I haven’t seen. Rammstein have been on my ‘to see’ list for many, many years. And apparently with good reason. Everyone I know who has seen them claims that these German weirdos put on the best stage performance, ever. Renowned for their *cough* rather risqué videos and merchandise (yep, there’s even a line of Rammstein endorsed adult toys if you look in the right places), their shows transport the elements of all things, well, Rammstein to the stage. 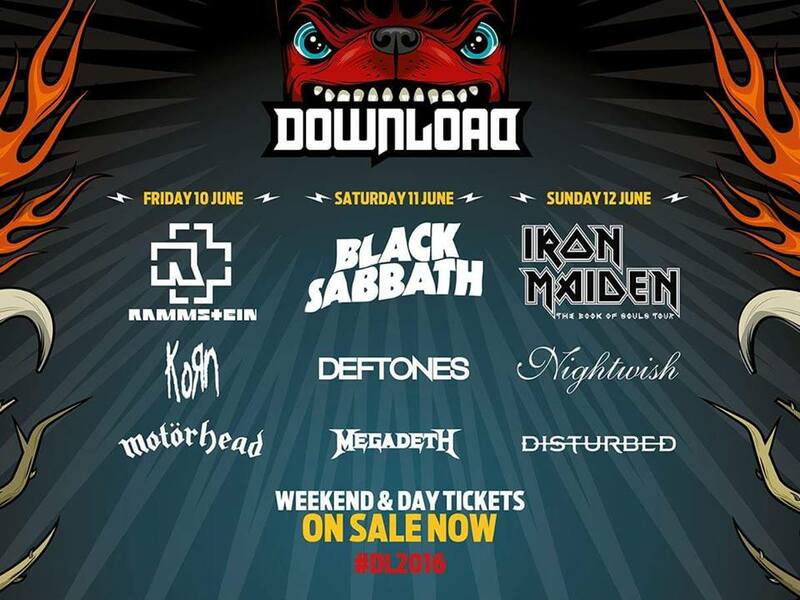 I was so gutted to miss out on Download in 2015, so 2016 is my year. And if I don’t get tickets again there will be tears. Lots of tears.